I've been neglecting this place again lately. A lot of work to do on the books and a few signings here and there to meet some of our readers. Spring should be here this week and probably won't help me to get work done. 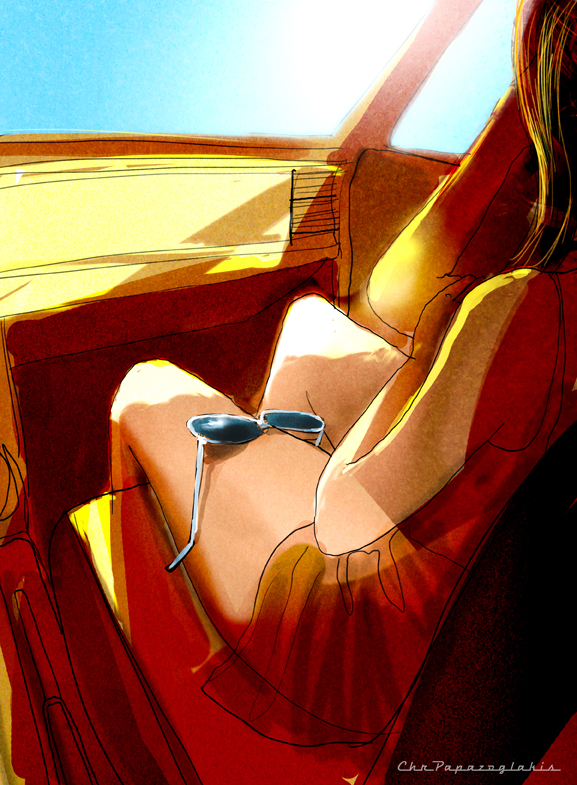 Some ancient memories of summer in the meantime, I don't even have a car anymore and I'm still feeling so uncomfortable with the lack of softness of the wacom. very cool perspective. great coloring! Beautiful colors. Really lovely job with the sunlight. The light is expertly rendered! Well done!